At CES 2019 ASUS is looking to push the boundaries of Intel Skylake-X processors even further than ever before with the announcement its ROG Rampage VI Extreme Omega X299 motherboard. This board features dual LAN, four M.2 slots and support for 3-way SLI and Crossfire setups. 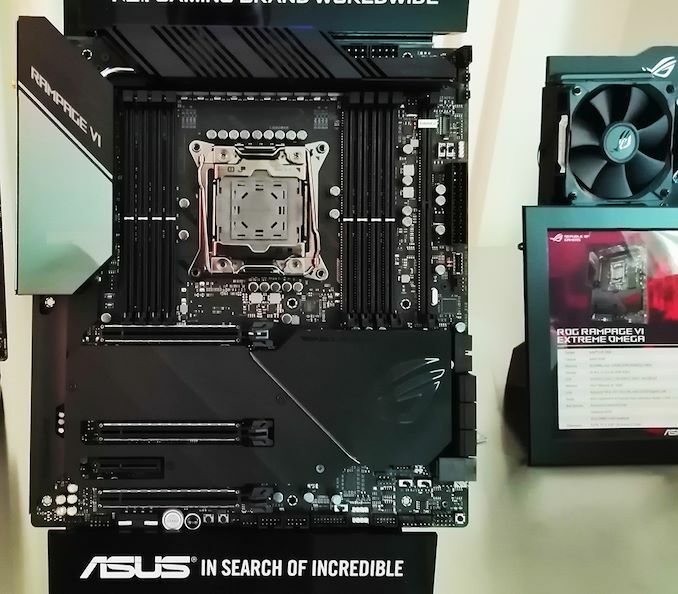 The new ASUS ROG Rampage VI Extreme follows the release of the goliath ASUS ROG Dominus Extreme model announced for Intel 28-core Xeon W-3175X late last year. The Omega, however, is a little lighter on the surface than the Dominus Extreme and is aimed more at enthusiasts. The board has a solid feature set such as quad M.2, an Aquantia ACQ107 10G NIC, and an Intel I211AT gigabit NIC. Wi-Fi is also a notable feature, with the board supporting 802.11ac Wave2. Visually, the majority of the bottom half of the board is covered by ROG shielding. The IO cover has an integrated ASUS AURA Sync LiveDash 1.3 inch OLED screen which allows users to monitor various elements of system performance such as core clock speed. There is also plenty of RGB too for those looking to create a unique look. 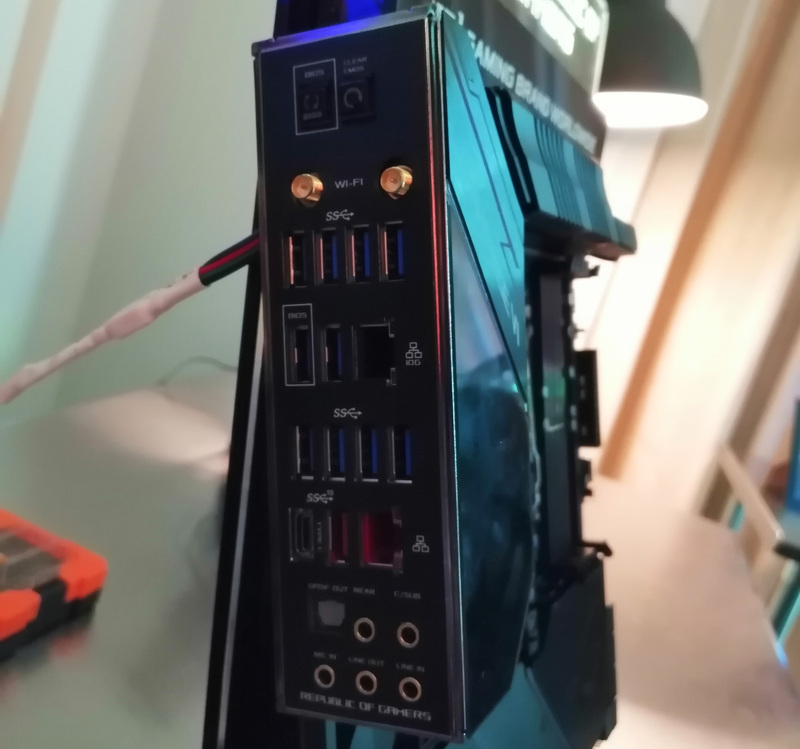 The onboard RGB is located from the rear panel cover and the large ROG logo on the bottom right hand corner of the board. ASUS has gone with a solid 8-phase power delivery consisting of 16 power stages. Providing power to these is two 8-pin 12 V ATX power connectors which are more than enough to allow maximum power than potentially needed; this is more so for extreme overclockers and those looking to push more ambitious core clock speeds. 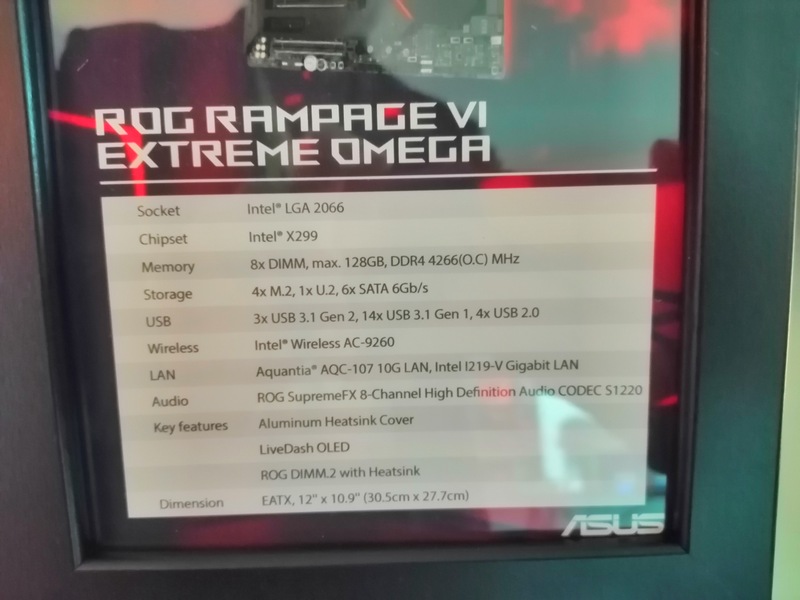 The ROG Rampage VI Extreme Omega has eight memory slots offering quad channel memory support with speeds of up to DDR4-3600 and a maximum of up 128 GB. Three full-length PCIe 3.0 slots operating at x16/x16 and x16/x8/x8 allow users to use up to 3-way SLI and Crossfire multi-graphics card configurations and the majority of the PCIe PCB area is covered by a clean looking ROG panel. Along the bottom of the PCB is an overclockers toolkit with power and reset switches, as well as a clear CMOS button and a MEMOK! button for memory overclocking. To the right just below the six SATA ports looks to be a U.2 port in addition to the four M.2 slots. USB support is primarily focused on USB 3.1 Gen1 with the board supporting up to fourteen USB 3.1 Type-A ports with ten on the rear panel and the other four available via two front panel headers. The ROG Rampage VI Extreme Omega does include USB 3.1 Gen2 with a Type-A and Type-C on the rear panel, and also offers another port with a front panel header. The board looks to pack which is most likely a ROG SupremeFX S1220A HD audio codec. The rear panel also houses a more conveniently located clear CMOS button and a BIOS flashback button to allow users a quick and easy option to update the board's firmware. 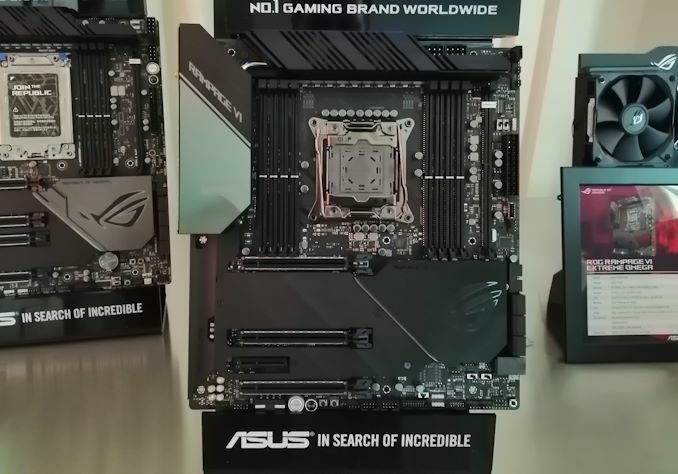 The ROG Rampage VI Extreme Omega motherboards are set to hit the market in Q1 2019, but no pricing information has been announced as of yet.